What Are The Best, Can't Miss Roads In Ecuador? Yes, this is a very narrow question. But when a reader needs to know something, we get down to brass tacks and help them out. Is there still a tax on brass? I'm not sure. Anywho, today, we're talking Ecuador. 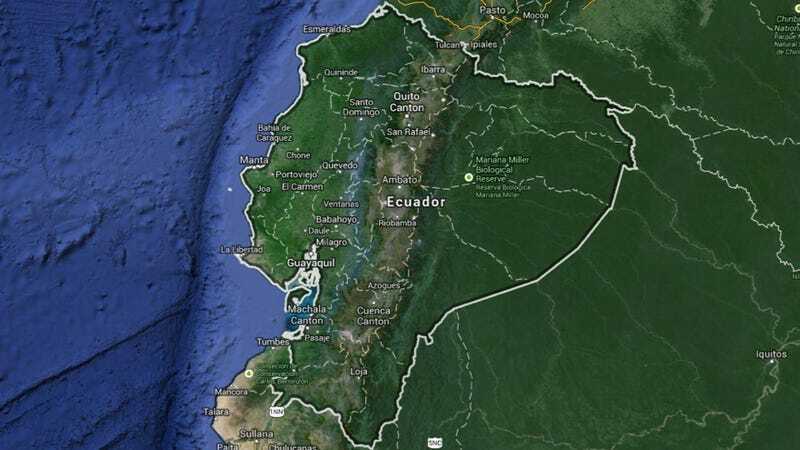 Reader @legalbagel tweeted Matt and I earlier to see if you, our collective braintrust, had any ideas for great roads in Ecuador, where he is taking a road trip next week. I've never been to Ecuador. I don't know anyone that's ever been to Ecuador. At least I don't think I do, it hasn't come up in conversation. But perhaps you or someone like you has been there and knows some roads that can't be missed, sights that need to be seen, foods that need to be eaten, and bars that need to be drank. Let's help @legalbagel out below!